Photo provided by Calumet Township Calumet Township Supervisor Paul Lehto stated his personal opinion as that he opposes disincorporation of the village of Calumet, because it would cost residents more than they can afford. 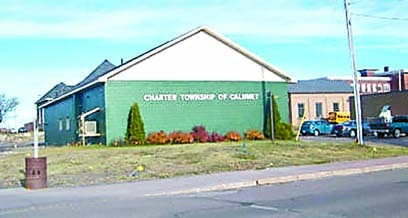 CALUMET TOWNSHIP — Supervisor Paul Lehto said he will oppose any disincorporation of the village of Calumet, and he opposes any recall of members of the Village Board. In an interview with the Daily Mining Gazette Monday, Lehto said those were his opinions, and he was not speaking for the board or the township, but he said the reason he opposes the petitions is they that are trivial, at least. “I feel that if you vote for somebody on a board, they’re supposed to vote their conscience,” he said. If there was a recall petition every time someone objected to a vote of a board member, the state would be in chaos, he said. “You gotta remember this: there are some 1,200 townships in Michigan, over 500 municipalities and villages, there would be no end to it,” he said. Lehto said his concern in the event of disincorporation is not so much for the township, but for the village. Village President Dave Geisler has expressed his concerns about what would happen if the village lost its Act 51 money in the event of disincorporation. “Act 51 is street funds from the Highway Department,” Lehto explained. “That would be money for your local roads, and for your major streets, and also for any contracts that the village may have, like on Pine Street, and that. Those moneys would be gone.